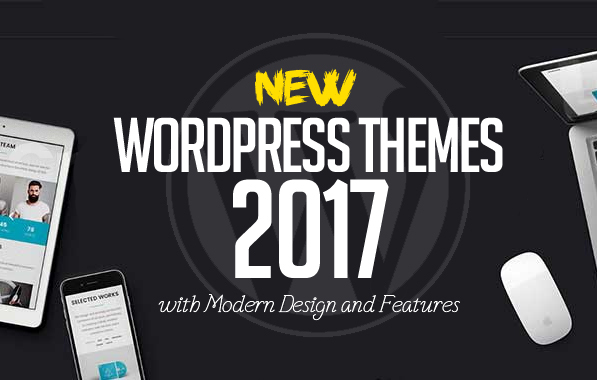 New professional 2017’s responsive WordPress Themes are suitable for magazines, blogs, online store and eCommerce websites. All WordPress themes are providing amazing user experience and usability with huge number of awesome features like Responsive layout, Mega Menu, product Gird & List view, product Quick view, Slider Revolution, Demo One-click Installation, Visual Composer, RTL and multilingual, Boxed layout and etc. All themes are well organized and documented so anyone can use, modify or customize these templates. WordPress themes are especially designed for startups and eCommerce businesses. It offers bloat-free user experience with decent design, responsive layout and ease of use with Visual Composer Page Builder which gives you freedom to create awesome websites with almost any layout you can imagine in only couple of clicks and will save you lots of time working on the site content. Reflex – Corporate Responsive WordPress Theme is a clean and elegant design – suitable for agency, blog, business, company, corporate, creative, portfolio, professional etc . It has a fully responsive width adjusts automatically to any screen size or resolution. Easy to use, fully responsive WordPress Theme with clean design and lightweight code. Good choice for corporate, business, portfolio, etc. This template contains a lot of shortcodes and can be easily customized for any purpose. Few variations of pages allow to choose that option, which is better for your project. Laconic – perfect choice. While creating the BarDojo WordPress theme, we’ve put ourselves into the place of a bar / restaurant owner who wants a simple one page website (or multipage) that would look good, required no maintenance (or easy to maintain via WordPress), would be very informative and would make the visitor get in touch for a reservation. SW Revo is a Premium WooCommerce WordPress Theme that is created to fit any shopping store or digital store. The theme comes with 5 homepage options and lots of eCommerce features that allow you easily build an online shopping website. Aero is an intuitive, flexible and powerful WordPress theme, designed to suit the needs of business websites of all sizes. Aero is built with utility in mind, making your content pop with its ready made layouts. The theme includes the most popular premium plugins on the market: Visual Composer, Revolution Slider and Essential Grid. Using this set of plugins, you can create almost any type of layout, using a drag & drop interface and tons of pre-built elements. Aero is translation ready and compatible with the WPML plugin. Safaria is first theme focus for safari content on themeforest, we build this template for your company special safari and zoo or all the thing about travel with animal, unique clean strong wild and modern its Safaria, and you can get many experience never you feel before. Adella is the only WooCommerce theme you will need for fashion WooCommerce projects. It represents what WooCommerce customers want to see in a theme including intuitive design, robust performance and eCommerce functionalities. We Finance is the Perfect Finance, Consulting & Business WordPress Theme. We Finance is best suited for corporate website like accountant, admin, advisor, consulting, business, consult agency, corporate, finance, financial, insurance, invest, investment, investor, consultancy, pensions, trading, consulting Firms, insurance, loan, tax help, Investment firm etc. This is a business WordPress Theme that is help full for online presence for Corporate Business and Financial Firms. We Finance is Fully Responsive! Strong focus on the smartphone and tablet experience. TOWER – creative business multipurpose WordPress theme for startups. TOWER has the most suitable everything for all engaging business sites. We really want to create something that speaks to the consumer in a way that comes naturally from the layouts, the typography, the colors and everything. Elva is clean, flexible, multipurpose, ecommerce compatible with the most beautiful design you will ever see. It is built with the latest technology and trends and can be used on a huge variety of websites.